Sometimes its worth revisiting the classics, especially if that classic is Rodgers and Hammerstein’s The King And I and espcially if it was the multi-award winning and critically acclaimed Lincoln Center Theater’s production! 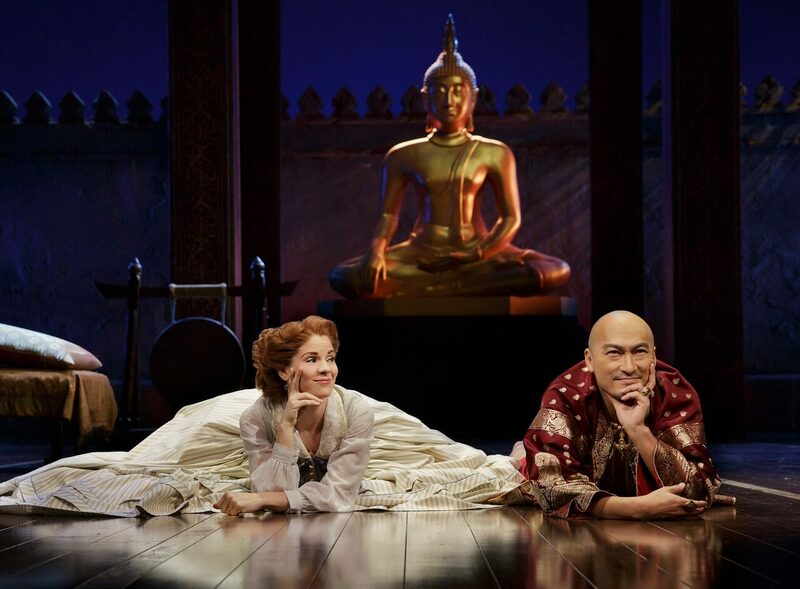 The King and I opened at the London Palladium in June 2018 and starred the original Broadway stars; Kelli O’Hara, who won a Tony Award for her role as Anna, and Tony and Oscar nominee Ken Watanabe as The King of Siam. Set in 1860’s Bangkok, The King and I tells the story of the unconventional and tempestuous relationship that develops between the King of Siam and British schoolteacher whom the modernist King, in an imperialistic world, brings to Siam to teach his many wives and children. It’s lovely to see musicals return to the London Palladium – it really is a special theatre with it’s white pillared facade and it liveried front of house staff. The King and I at the London Palladium promises to be one of the highlights of London’s 2018 Theatrical season. The cast of over 50 storm through the famous score including such hits as Whistle a Happy Tune, Getting to Know You, and Shall We Dance in presenting a show that is a testament to the lavish heritage of gloriously romantic musical theatre.